When it comes to choosing your next home, you may be torn between buying an existing home and working with an architect and builder in order to build a custom home. While pre-existing homes offer the ability to move in right away, they may contain hidden costs, like the need to upgrade appliances, renovate or build additions. Custom homes, by contrast, are completely move-in ready with all the features and square footage you need to make your home comfortable and functional. Custom homes can offer more home for the money. When home buyers purchase preexisting homes, they often need immediate maintenance and upgrades. At a bare minimum, you’ll probably find yourself gutting the kitchen and the bathrooms and completely replacing them, which adds to the overall cost of the home. Likewise, the existing home may contain features you don’t want and exclude features you do want. When you build a custom home, you are only paying for the square footage, features and customization you want in order to maximize the home’s flow and function. Custom homes can be built to your specifications and your family’s needs. Most preexisting homes include one or two bathrooms and two to three bedrooms. If you have a large or growing family, own your own business or work from home, an existing home may not be able to meet your space needs. Custom homes can be built with as many bedrooms as you need, modern kitchens with all the right materials, home gyms, offices and great rooms and/or gathering rooms that are large enough to entertain friends, family members and clients or coworkers. Older homes are not as well insulated and do not typically contain as many green features, unless the previous homeowners have performed extensive upgrades. 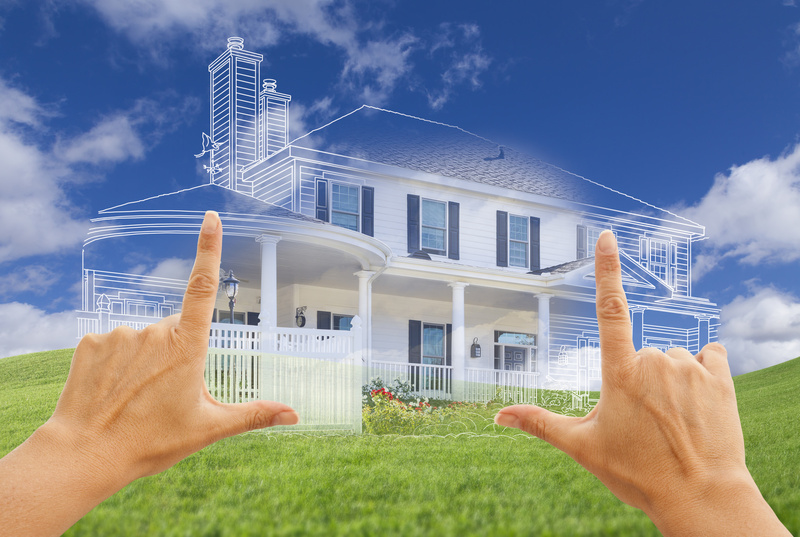 By contrast, custom homes can be built to your energy-efficient standards. Instead of fiberglass insulation, you can request spray foam insulation. You can request energy efficient windows, doors and roofing, and you’ll be able to choose between standard hot water heaters and tankless hot water heaters. In some instances, you may even be able to install solar panels on your new energy-efficient roof in order to further reduce your new custom home’s ecological footprint and save money on your energy bills. Custom homes include the appliances, and you can negotiate with the builder to include upscale or luxury appliances instead of the standard builder-grade appliances. When you purchase an existing home, if the appliances are included, they are often several years old, outdated and may not include the features you desire. When you decide to build a custom home, you can choose your lot and the style and orientation of your house. This gives you more privacy options than purchasing an existing home. With a custom home, you have the option of setting the home further back on the lot, orienting the home’s design and layout and customizing your landscaping in order to maximize privacy. Custom-built homes are ready for you and your family. Once they are finished, you do not have to worry about making upgrades or repairs for several years, and many new, custom homes come with home warranties so that you can have increased peace of mind. I didn’t know that custom homes include appliances!! My husband and I have always wanted to build one because we would be able to tailor make it for our family, but getting appliances as well would be amazing! We have been talking a bit and if we sell the house we live in now, we should have enough to be able to build our own!! Our dream home is almost a reality!! Whether the custom home includes appliances is generally up to the client to decide. In any case, the custom home can be tailored to the client’s appliance choices, whether provided or not. This allows accommodation of built-in, custom openings to for the refrigerator size chosen, options for cooktops and double ovens in lieu of stoves, etc. All these things allow you to make the home match your desires in lieu of adapting your desires to what a home already has in place. I like how you mention that building a custom home means that you are able to have your exact specifications met. My husband and I have been wondering if we should buy our own house or build a custom one. We will definitely have to create our own home since we would love it if we could have the exact number of bedrooms and bathrooms that are needed for our family. I do like how you mentioned that custom homes can be made as energy efficient as I want as I would be able to control aspects of it, such as the insulation, windows, and the likes. That sounds like a dream come true as I do want to have a home that can be considered to be green. I’ll try to look more into this and what other opportunities it can offer. Thanks! I never realized that custom homes have the option of setting the home further back on the lot to maximize privacy. My oldest brother wants to get into real estate this year with his wife and is looking to buy some custom homes. I’ll be sure to talk to him about looking for homes with better privacy. My fiance and I have been thinking about getting a home construction service. We want to make sure that a custom home is the right choice for us both and decided to research a little further. I like that this will mean that it is move-in ready. That’s definitely one of the advantages of new construction. Everything is new and everything is just they way you wanted it. Changes on paper are much less expensive than changes to things that have already been built. New construction is also more economical to own. It is generally the most energy efficient. It is generally maintenance free since it’s new. All your appliances and systems will have new product warranties.